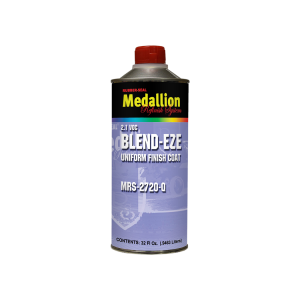 MRS-2720-Q Low VOC Blend-Eze is a blend of premium compliant solvents and resins designed to be used as a panel blender for 2K clearcoats and single-stage urethane paint systems. It is compatible with most single-stage urethane systems, basecoats and clearcoats. MRS-2720-Q can also be used to check color match or layout of metallic colors. It is an excellent alternative to aerosol blending solvents in 2.1 VOC areas. Available in quarts only.